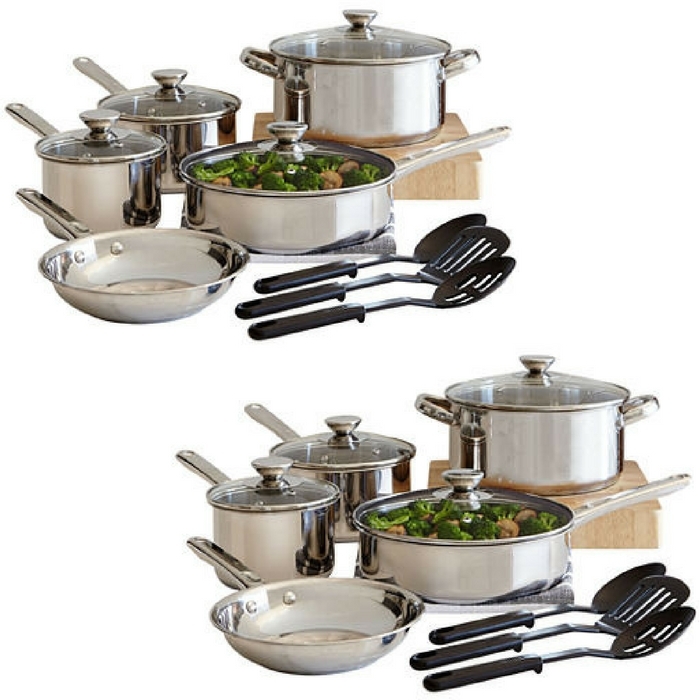 Cooks 12-Piece Cookware Set Just $13.15 After Rebate! You are here: Home / Instagram / Cooks 12-Piece Cookware Set Just $13.15 After Rebate! Head over to JCPenny and score this awesome deal! Cooks 12-Piece Cookware Set is now on sale for just $39.99 down from $100! But, when you use code: 2BIGSALE at checkout you’ll get it for just $33.15! THEN when you submit the $20 rebate offer (the link for the rebate is under the price) – it ends up being JUST $13.15!! Be sure to choose to have it shipped to your local store for FREE, too! Whether you’re a beginner or an expert chef, our 12-piece cookware set will serve you well whipping up a delicious meal.